Today in the Python group we looked at how a few simple changes can change the look and feel of a game. Our space Defender game uses code recycled from last weeks Bunnies And Badgers game combined with a few new sprites to make a completely new game. 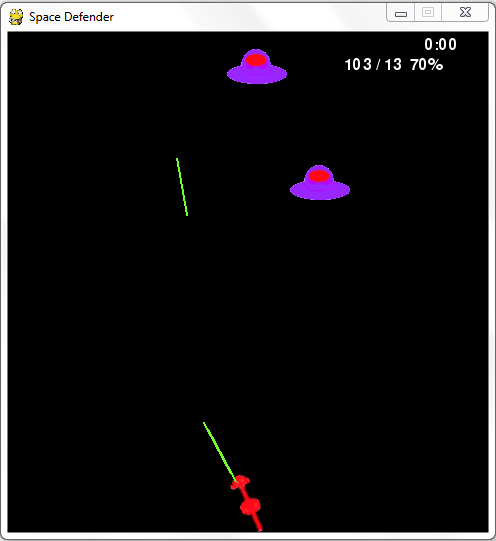 We also looked at how to use Geometry when moving sprites around the screen. The above code calculates how many pixels the x and y coordinates of our sprite needs to be changed for it to move 10 pixels in the direction of angle_z. You can learn more about Sin and Cos here.